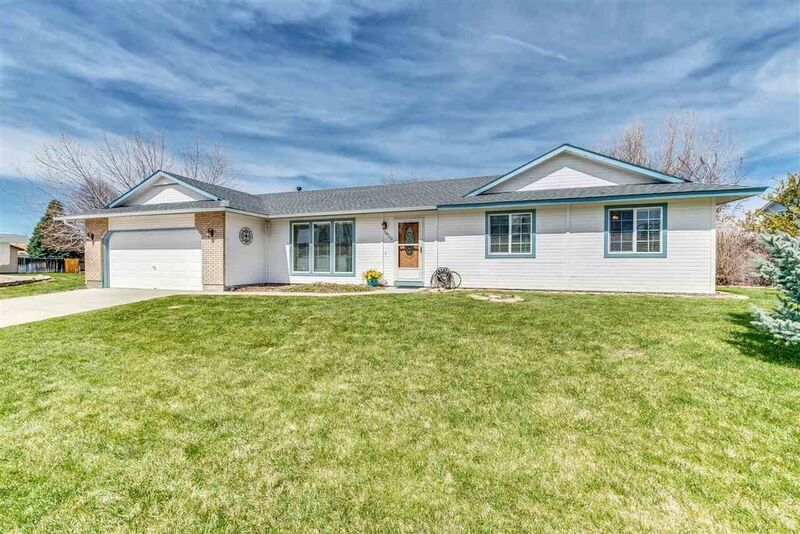 Fantastic location near the Village of Meridian. Desirable, single level home with over sized, eat-in kitchen w/plenty of storage, new Stainless Steel appliance, under-cabinet lighting & solid surface counter tops. Laminate flooring, vaulted ceilings in the kitchen & main living areas, tons of light through the south facing windows. Master suite is over sized w/an attached bath, large walk-in closet & private deck through the sliding glass doors. New roof 3/2017, corner lot.